Spark your creativity with this ultimate collection of artistic resources, featuring incredible fonts, gorgeous watercolours, cute illustrations, stunning effects packs and so much more. All the items have been selected from the most requested suggestions from the community, to produce a huge bundle of the most popular creative assets currently available. At an incredible 98% off, this is a great opportunity to equip yourself with some quality tools that you can use for years to come. 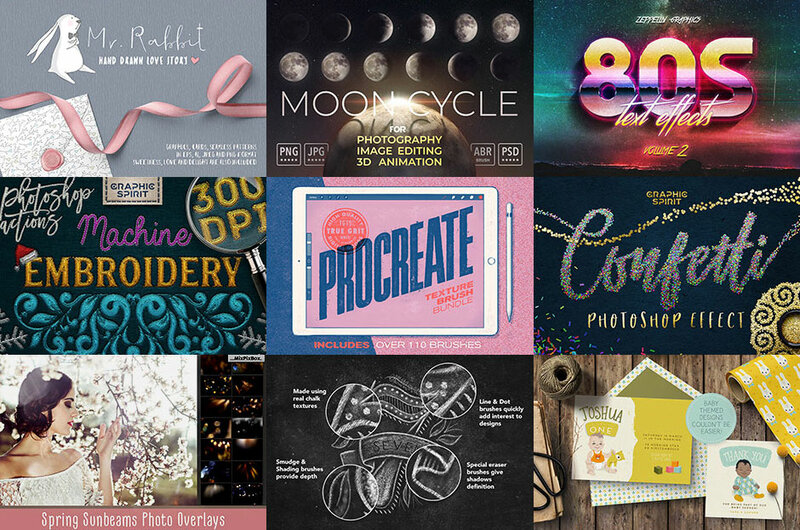 The Ultimate Creative Design Bundle has a combined total value of over $1300, but all these resources can be yours for just $29 thanks to the 98% discount. All the tools are supplied with Extended Licensing too, which means you’re safe to use the assets within your commercial and client work. This is a limited time offer so if you like the look of any of the items featured, be sure to make the most of the discounted price. A single design resource product can often cost as much as this whole bundle at its regular price!